to build PHP from SVN. $ sapi/cli/php -r "echo 'hell';"
Breakpoint 1 at 0x100001545: file php_date.c, line 1616. 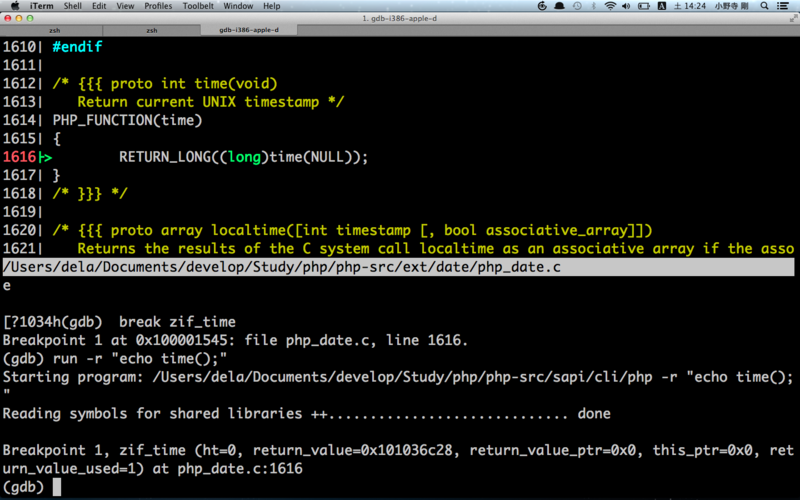 (gdb) run -r "echo time();"
Starting program: /Users/dela/Documents/develop/Study/php/php-src/sapi/cli/php -r "echo time();"